Support networks for mums; so important in feeling connected. Home | Blog | Support networks for mums; so incredibly vital. Support networks for mums; so incredibly vital. “In many cultures the process of bringing up children is shared by the whole family, and in some cases, the whole community. Parents in these situations rarely feel overwhelmed because there is a large support network on hand. Today, it is much more common for people to be away from their families and find themselves in a more isolated situation. If you don’t have family and friends to call on, consider what resources are available to you, contact your local council and ask about relevant community services. Or create a support network yourself. This can take courage to initiate but there are already associations such as Playgroup Australia who can help you in doing this. Being isolated and the associated feelings can be detrimental; if you can join or start a likeminded group of mothers you can help each other move through your challenges. Parenting is a demanding and exhausting job and smart mums just like you reach out and ask for help every day, which shows strength and courage by putting your family needs in front of your ego. Asking for support is a positive action, which will produce positive results for you and your family. Having a support group of other mums that you can get together with on a regular basis to swap stories and discuss what’s happening will help so you don’t feel like you’re alone. You can go one step further and organise within the group to help each other out by having a cooking pool once a month where you all get together and cook dishes in bulk that you can share and freeze to have extra meals available. As well as working out a baby sitting pool whereby you each get a night out with your partner once a month. And you plan one day a month at each Mums house for a housework spree? The benefits will be endless, for you, the other mums, and your families! This week’s challenge: Make the effort this week to meet up with a group of mums, to chat, share some stories and lighten the load! If you’re not currently part of a mums group, playgroup, school or church group, then make the effort this week to actively find one – create a support network! Until next week, Be True, Be You, Be Happy! Always remember, you are never alone – there is always help available. Get in touch with Playgroup Australia – they have a fantastically resourced website and can tell you about Playgroups in your local area that you’ll be able to join. 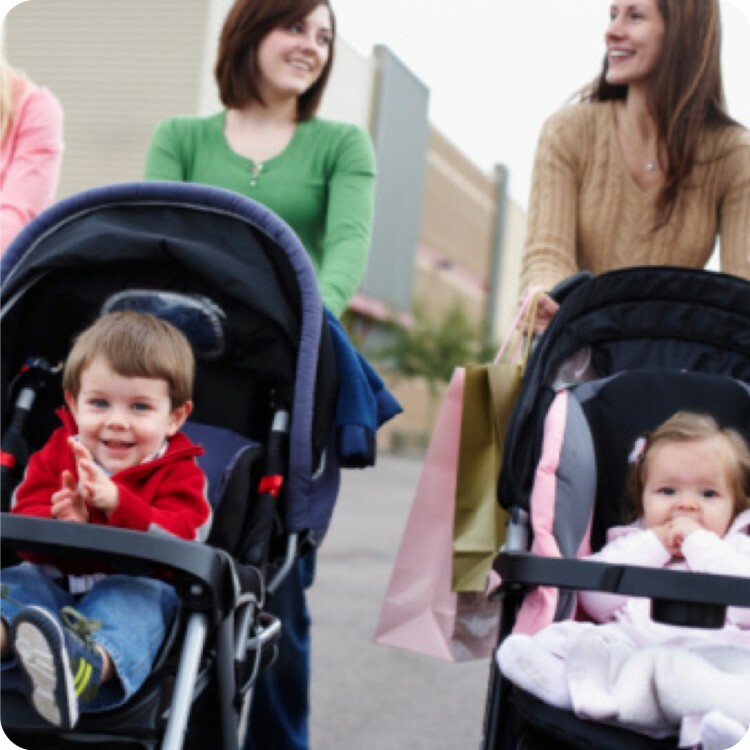 Contact your local Early Childhood Centre or sometimes your local shopping centre may even host a regular morning catch up session for mums – our local one, an AMP Shopping Centre has a monthly Mums & Bubs group. And of course, you could have a FREE Consultation with Kerry Townsend and gain insight on your current situation and what you can do to avoid feeling isolated. This is so true, but I’ve just moved to nth cent victoria….where do you go to meet these mums networks? Without play group in the first few years I would have felt terribly alone. So important to have a support group. I’m still very close with my mum’s group I had with my first born 8 years ago. Councils, libraries and community centres are great places to find out about different groups that might be able to help with problems in your life, especially if you’re a new mum, and don’t have much of a support network. The last thing you want when you’re struggling is having someone who’s smug telling you what you’re doing wrong. You need support and advice from nonjudgemental mums. Thanks a lot for sharing. I enjoyde reading it. Great article. Loved this article! Thanks for sharing.